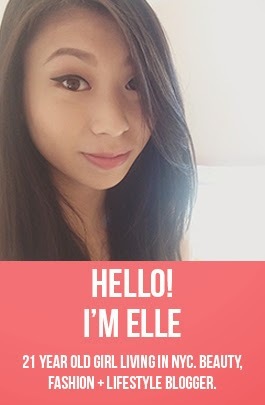 Models Own is a UK based beauty brand that has yet to make its way to the States, as far as I know. I first mentioned this product in my Boots & Superdrug Haul on YouTube, so if you haven't watched it already be sure to check it out to see my initial impression of the polish. It turns out that this polish isn't all too different from what I imagined it would be when I first picked it up and bought it. 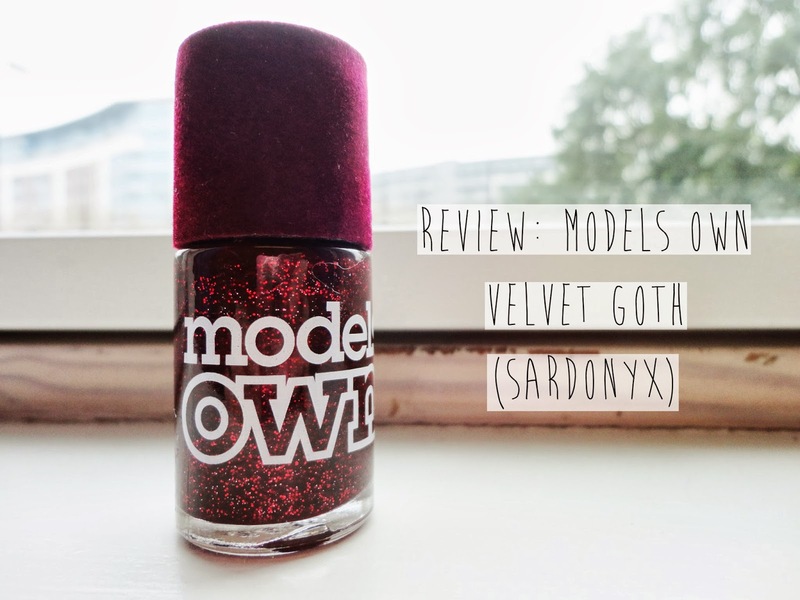 This Models Own Nail Polish in the shade Sardonyx (£5.00) is part of their limited edition Velvet Goth collection. Velvet Goth features 5 different polish shades: Obsidian (black), Valerian (midnight blue), Amethyst (dark purple), Sardonyx (ruby red) and Absinthe (bluish green). Of the 5 shades, I picked up Sardonyx because it looked to be the most wearable for my skin tone and style. All the Velvet Goth polishes have a matte base with chunks of micro glitter. Sardonyx happens to have a matte dark red base with ruby red and black micro glitter. In the photo the polish doesn't look like anything special but in real life I guarantee you it looks much better. It also turns out that the polish is scented. I can't quite place a finger on it but it's definitely a berry scent, possibly strawberry. I thought it'd be cool to have a scented polish but now I'm getting kind of annoyed at smelling artificial berries every time I pass my hand by my face. I really hope the smell goes away in a day or two. Overall, this polish is pretty much what I had expected it to be, the only twist is that it's scented. I must have missed the note about it being scented somewhere on the display. I'm pretty happy with this polish as it's really quite unlike anything I have in my collection but I'm certain that I won't be buying another shade from this collection. I think one of these polishes is enough for me as I can tell that I probably won't be wearing this too often. not a fan of the "velvet finish" i love glossy polishes . I don't own any scented polishes, but this one looks very pretty on your nails! Yeah, it's a little strange though since I'm not used to textured polish! It's a fun colour but I know what you mean about not being able to wear it all the time. Is it textured? It looks like it from the picture.